Milen Nakov has been the director of Center for Specialized Educational Support “P. R. Slaveykov” in Pleven, Bulgaria since 1992. He holds a Masters’ degree in Defectology from the Sofia State University “St. Kliment Ochridski”. Under his directorship, the special education pedagogical staff of the center has been rated at the highest level in Bulgaria by the Bulgarian ministry of education and science, the Bulgarian Academy of sciences, and the university scientific community in the country. 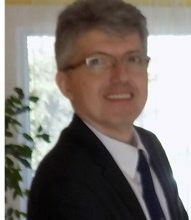 He has promoted working models and practices on a regional, national, and international levels related to the application of integrative pedagogical strategies and techniques in the education of children and pupils with special educational needs. He participates actively in the writing of normative documents related to the education of children and pupils with special educational needs.